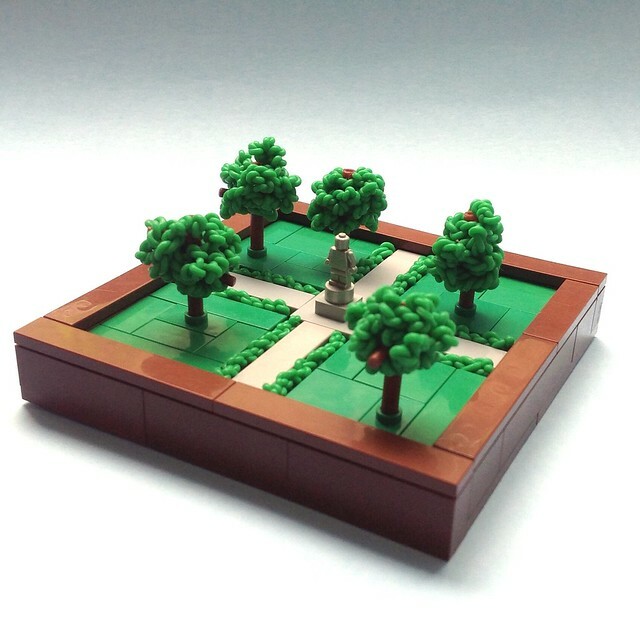 Jigsawjo continues to amaze with this clever vignette, aptly titled Christiansen Park. The most striking thing here is of course the rubber band trees and bushes which look surprisingly realistic - a very NPU style that I expect to see often in the future. I could imagine a much larger park inside of a microscale layout still looking great in this style.